The best just got better! The 6200CA Series, trusted by professionals for its durability is now loaded with new, advanced features to maximize your productivity. These ladders are so comfortable you will feel like you are standing on the ground. The new and improved 6200 Series Stepladder is loaded with advanced features. 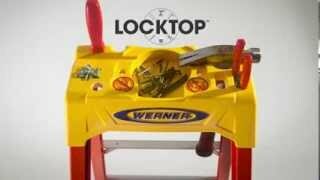 The Locktop holds an arsenal of tools and the EDGE360 provides protection from every angle at the bottom of the ladder. 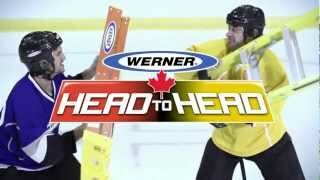 It all started at https://www.youtube.com/watch?v=It4C-9z0GqQ and ends with the Werner Head To Head Hockey Challenge. Want to learn more? Go to http://www.wernerheadtohead.ca and check out the Head To Head Product Challenge and watch Werner go against the competition. With extension ladders, the differences might not be visible but they are there. Listen to what our professionals had to say in the Werner Head To Head Challenge against the competition. Canadian tradesmen who use ladders every day are the judges for this Head To Head Challenge pitting Werner agains the competition.